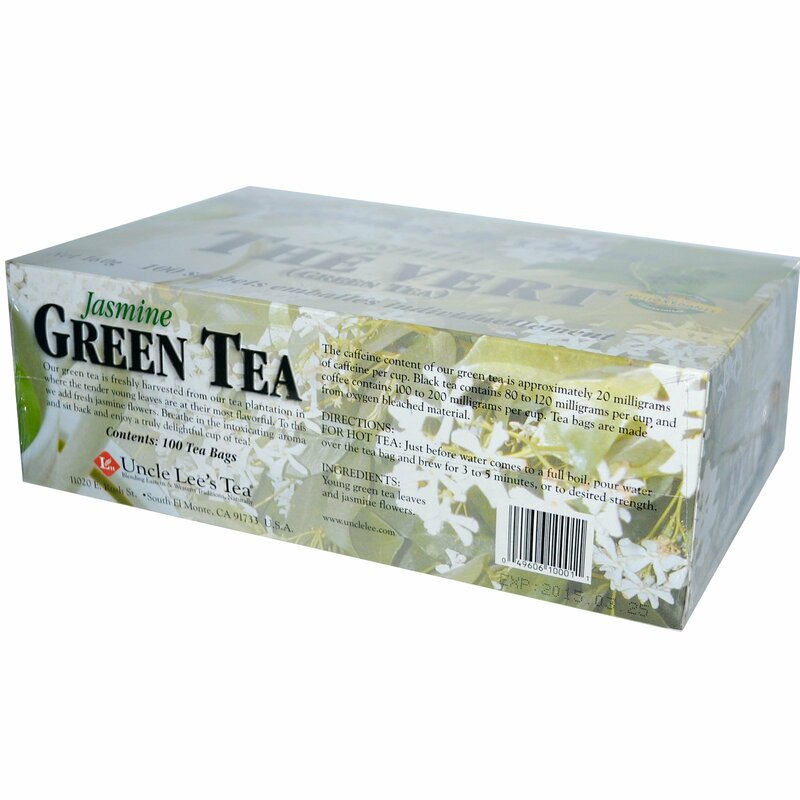 Our green tea is freshly harvested from our tea plantation in China where the tender young leaves are at their most flavorful. To this we add fresh jasmine flowers. Breathe in the intoxicating aroma and sit back and enjoy a truly delightful cup of tea! For Hot Tea: Just before water comes to a full boil, pour water over the tea bag and brew for 3 to 5 minutes or to desired strength. 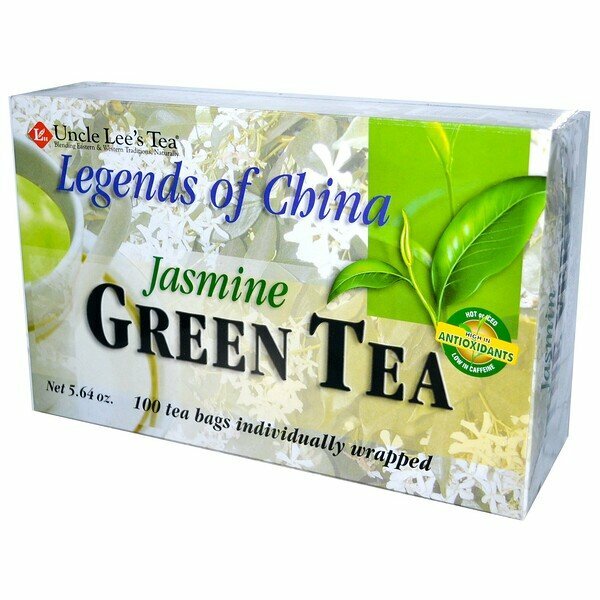 Young green tea leaves and jasmine flowers. The caffeine content of our green tea is approximately 20 milligrams of caffeine per cup. Black tea contains 80 to 120 milligrams per cup and coffee contains 100 to 200 milligrams per cup. Tea bags are made from oxygen bleached material.